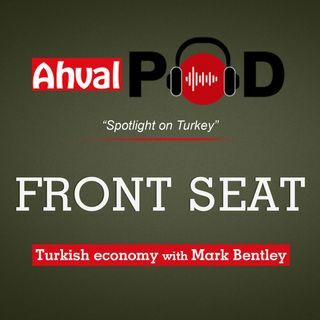 Turkey’s government appears to be in denial about an economic recession, economist Güldem Atabay told Mark Bentley in his regular podcast for Ahval, ‘Front Seat’. Turkish Treasury and Finance Minister Berat Albayrak even avoid talking about a contraction in the economy that occurred in the third quarter, Atabay said. This approach by the government raises concern that it might pursue populist policies ahead of local elections in March, possibly upsetting newfound stability in the lira, she ... Maggiori informazioni said. Investors are therefore likely to remain cautious about Turkey, according to Atabay.